In making your home look expensive, always remember that less is more. This minimalist approach makes your home look simple and sophisticated instead of messy or disorganized. To start, get rid of any unnecessary furniture and accessories. Keep the ones that you really need instead of the ones that you want. And when you go shopping for home furniture and decoration, buy fewer items instead. Great lighting does wonders for any home. It immediately makes the space feel larger and enhances the look and mood of your home. For your house to look more elegant and expensive, pendant lights can add a more luxurious feel to your living space. Having a dimmer switch also adds to a home’s appeal. With a simple adjustment in the light’s brightness, your home will immediately feel warm and cozy. Don’t be afraid to mix and match different textures with your home’s interior décor. 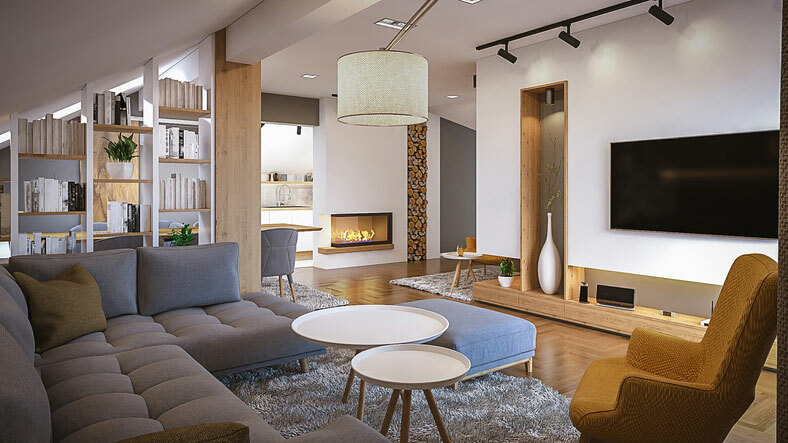 Having these elements in your home will immediately create an intriguing visual that will make you home’s interior look more sophisticated and custom-designed. Textures such wood, metal, and glass actually go well together because they contrast each other. To create a harmonious look among different textures, play with a variety of patterns until you find the right combination. Another easy way to make your home look more expensive is to incorporate more textiles, especially when it comes to your throw pillows and rugs. Use interesting textiles such as a faux fur blanket or a jute rug. You can also add a textural throw pillow on a sofa or chair for a cozier look. There’s something about moldings that give homes a more elegant look. Crown molding, in particular, is often linked with upscale and expensive homes. This decorative finish is embellished along the point where the wall and the ceiling meet. Since you’re going for an expensive and minimalist look, use modern crown molding styles. You can also make use of ornate and layered crown molding for a more formal and regal-looking appearance. Art makes a home feel more personal. It also makes a great centerpiece for when you have guests over, especially if the artwork is large in size. You don’t have to pay thousands just to have great art hanging on your walls. You can search for affordable yet eye-catching pieces in thrift stores, secondhand shops, and flea markets. Or you could just make them yourself! All you need are a giant canvas and your chosen medium. Let me, Jane Sullivan Horne, get your Smith Mountain Lake home ready for sale. I am a trusted real estate professional with more than 28 years of home selling experience. Get in touch with me today at 540.493.1690/800.858.4653 or Jane(at)JaneAtTheLake(dotted)com.